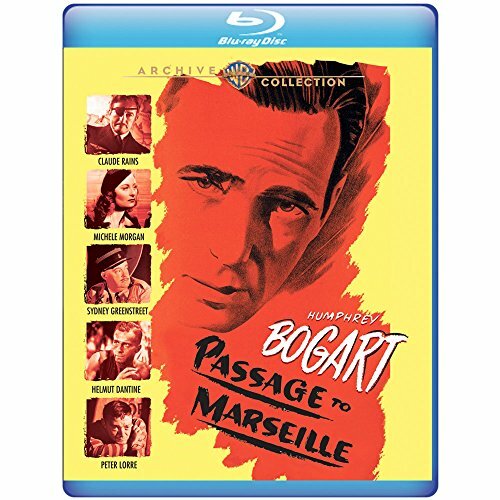 Humphrey Bogart reunites with director Michael Curtiz and other key Casablanca personnel (including costars Claude Rains, Peter Lorre and Sydney Greenstreet) for a tension-swept Passage to Marseille. Bogart plays Jean Matrac, a World War II French patriot who escapes Devil’s Island, survives a dangerous freighter voyage and becomes a gunner in the Free French Air Corps. Passage sailed into theaters on stormy seas. Controversy surrounded the scene in which Matrac machine-guns the helpless survivors of a downed plane that attacked the freighter. That a soldier of freedom would act ignobly brought protests from religious and censorship groups. But, like Matrac facing a strafing dive-bomber, the studio held its ground. War could even dehumanize a hero. Domestic prints remained uncut.